PHOTO REPRESENTS FLOOR PLAN BEING BUILT. Prepare to fall in love with the stunning home that Signature Homes is building at Glen Iris, based on their Brennon Tudor plan, with expected completion in May 2017. This spacious four bedroom plan has a classic Tudor look on the front from days gone by, but is designed with all the modern favorites for elegance and comfort. This home has so much character. The eye catching turned staircase in the central hall makes a dramatic statement. Do you enjoy entertaining? The open layout of the kitchen, dining room and great room make it a wonderful place to make memories with family and friends. You will be amazed with the spectacular sliding glass wall; imagine 16′ of glass that opens up to the covered patio, to let 12′ of the outside in! What a way to fully take advantage of those nice Alabama weather days. Don’t worry, on those rare cool days you can cozy up and relax in front of the gas fireplace. The open kitchen serves well as the heart of the home, featuring a big island with seating and a large eating area, as well as a gas stove and a gigantic walk-in pantry. With this home you will love the flexibility of having two bedrooms on the main level and also two large bedrooms upstairs. The generous master bedroom leads to the large master bath with a big soaking tub and huge shower. Even the fashionista in you will have a hard time filling up the walk-in closet. Upstairs is a perfect family retreat, large enough for a sitting area AND a pool table! On top of all that, this home backs up to the Ballantrae Golf Course. 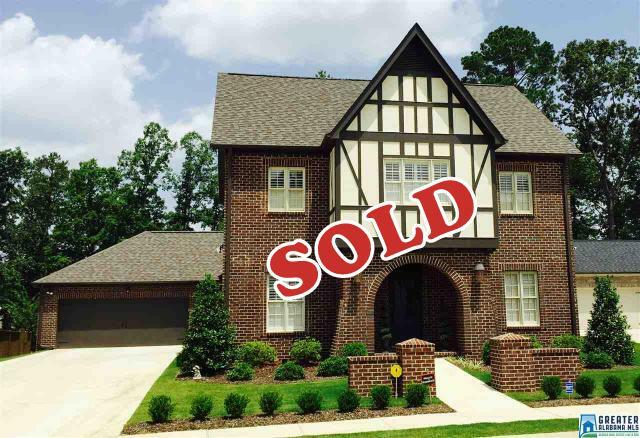 Glen Iris at Ballantrae has such a great location in the heart of Shelby County, the fastest growing county in the State of Alabama. The beautiful county is known for dramatic landscapes rich with recreational opportunities, from the many city and county parks to the 10,000-acre Oak Mountain State Park. In fact, you won’t need to leave the neighborhood at all to enjoy amazing amenities, including a park, playground, lake, walking paths, pool, not to mention the renowned Ballantrae Golf Club. You will find yourself in the best of both worlds, living in a country resort-like neighborhood but being only minutes away from restaurants, shopping, major roads, churches, and schools. Your kids will love attending the brand new Pelham Ridge Elementary School, Riverchase Middle School, and Pelham High School. Go Panthers! For more information about this lovely home in Glen Iris at Ballantrae, please contact Greg Arcara at (205)566-1426, greg@arcarahomes.com, or Senia Johnson at (205)369-8168, senia@arcarahomes.com. I-65 South to Exit 238. Left back over freeway. Left onto Colonial Parkway. Right on Jimmy Gould Road, Left on Alabaster Blvd, Rt on Weatherly Club Drive, Right on Ballantrae Club Drive, Second left past clubhouse onto Kilkerran Lane, 1st right on Glen Iris Circle.